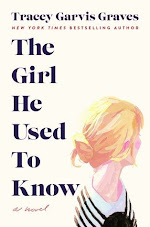 Goodreads says, "A young bride, a lonely single mother, and an amnesiac man of dubious origin lie at the heart of New York Times bestselling author Lisa Jewell’s next suspenseful drama that will appeal to fans of Liane Moriarty and Paula Hawkins. In a windswept British seaside town, single mom Alice Lake finds a man sitting on the beach outside her house. He has no name, no jacket, and no idea how he got there. Against her better judgment, she invites him inside. Meanwhile, in a suburb of London, twenty-one-year-old Lily Monrose has only been married for three weeks. When her new husband fails to come home from work one night she is left stranded in a new country where she knows no one. Then the police tell her that her husband never existed. Twenty-three years earlier, Gray and Kirsty are teenagers on a summer holiday with their parents. Their annual trip to the quaint seaside town is passing by uneventfully, until an enigmatic young man starts paying extra attention to Kirsty. Something about him makes Gray uncomfortable—and it’s not just that he’s playing the role of protective older brother. Two decades of secrets, a missing husband, and a man with no memory are at the heart of this brilliant new novel, filled with the “beautiful writing, believable characters, pacey narrative, and dark secrets” (London Daily Mail) that make Lisa Jewell so beloved by audiences on both sides of the Atlantic." Alice, a quirky single mother, finds a stranger sitting forlornly on the beach adjacent her house. Once she engages with him, she realizes he is suffering from some sort of amnesia. She invites him to stay at her guesthouse as it is currently unoccupied. She's a little worried about what her parents and friends might think about having a strange man stay at her guesthouse, but she is truly being kind and wants to help him regain his memory. Then there's Lily who lives in London. 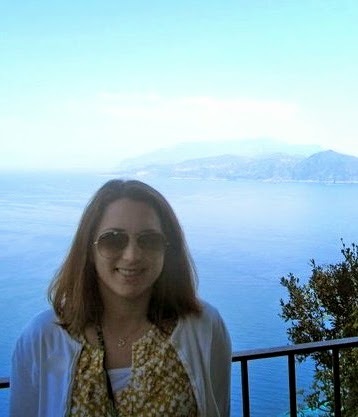 She is newly married and from the Ukraine. She knows no one in London except for her new husband, who just so happens to not come home from work one day. She files a missing persons report and the police inform her that her husband's passport is fake. Who exactly is he? Then there's flashbacks to 1993 and a family vacation that turns awry and Lisa Jewell slowly starts to weave a mysterious and ominous domestic thriller in I Found You. It kept me turning the pages. I wasn't the biggest fan of any character in I Found You as they are all a bit quirky and troubled. Alice, the single mom, who finds the mysterious guy on the beach, is an interesting character. She and her kids call the mysterious guy Frank and as the story progressed, I thought I knew who Frank truly was, but I was wrong. Jewell has a lot of plot twists in I Found You, which all kept me guessing, especially about Frank's true identity. Lily, the abandoned wife, was also a mysterious character in I Found You, but I wanted to learn more about her husband and what happened to him. I found it crazy that she really didn't know anyone else in London and was pretty much on her own, but I guess it could happen, right? What does Lily have to do with Alice and these flashbacks to 1993? Slowly, Jewell weaves her web. The flashbacks to the family vacation in 1993 was a bit confusing at first in I Found You. I knew there was a reason why Jewell was including this bit of narrative, but I wasn't sure how it all worked together. Slowly, I started to realize what was happening and some of the most compelling parts of this novel are in the flashback. The parents made some poor decisions regarding their children while on vacation, but once I got past that, I was flipping the pages. It gets dark though, so be forewarned! 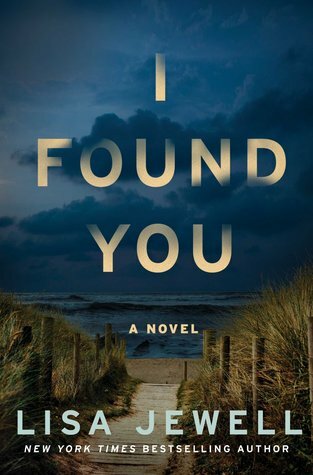 I Found You is a lot like the psychological thrillers that are out lately. You definitely have to be in the mood for this kind of story and the violence at times was a bit much for me, but, like I said, I was in the mood for a thriller and a page turner. Jewell raises some good questions about how well do we really know a person? I Found You is a good read if you are looking for something dark and atmospheric. It reminded me a bit of Broadchurch and sometimes you just need a good whodunit. Do you like domestic thrillers? This book had a great mystery, but some violence, so you have to be ok with that. Have you read her other novels? Thanks for visiting, Lark! This sounds perfect for me ! Thank you for sharing ! You're welcome, Alex. Thanks for visiting! I've been in the mood for thrillers lately, especially darker, adult ones, so this might be up my alley. I'll have to see if my library has it. Great review! Thanks, Natalie! It is definitely a darker domestic thriller - just what I needed at the time! Thanks for visiting!